In 1932, Ukraine, under the rule of Joseph Stalin, suffered a famine affecting the major grain-producing areas in the region. Though there is some debate on the actual cause of the shortage, scholars attribute the famine to Stalin’s policies of forced grain procurement, political repression, and seizure of the 1932 wheat crop being produced in Ukraine. 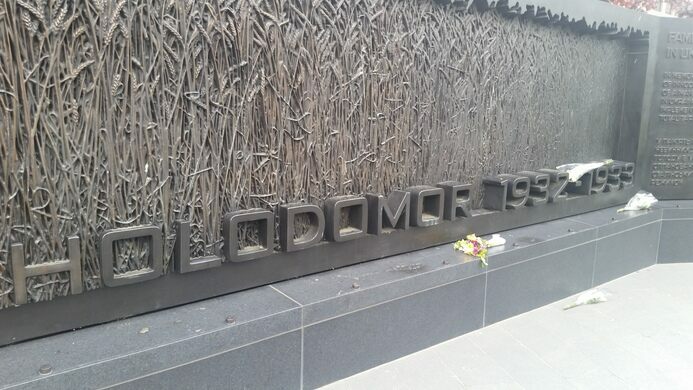 There are many who believe that the famine was deliberately caused in order to murder the Ukrainian people and crush any aspirations of independence from Soviet rule. 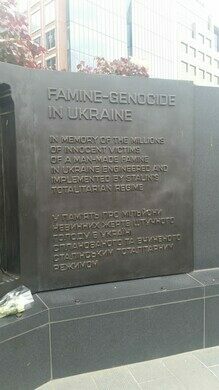 At the height of the famine in 1933, 28,000 men, women and children in Ukraine were dying every day from hunger and malnourishment. Officially, the death toll is estimated to be more than 4 million, with some calculations even putting it at up to 10 million. 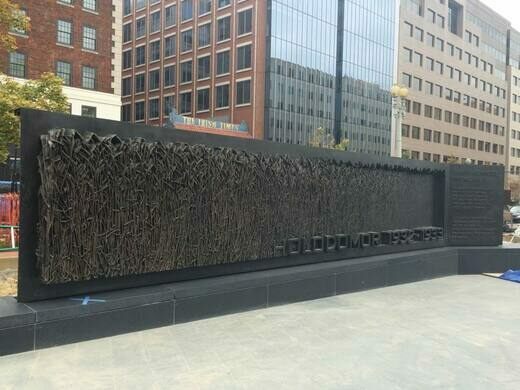 In November 2015, a bronze and granite memorial to this tragic event was unveiled in Washington D.C., depicting a field of wheat that slowly recedes into nothing, and an inscription in both English and Ukrainian. 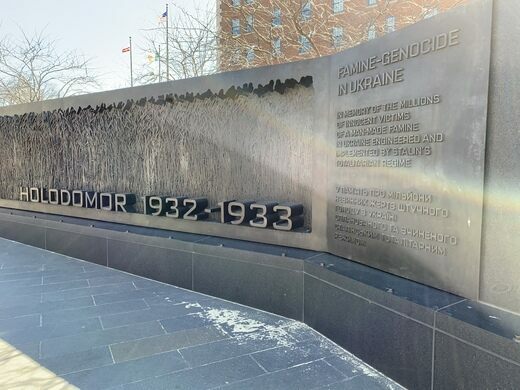 The inscription reads “In memory of the millions of innocent victims of a man-made famine in Ukraine engineered and implemented by Stalin’s totalitarian regime.” The bronze and stone memorial is easy to overlook while driving or walking down Massachusetts Avenue. It is worth a stop to remember that humans are capable of doing terrible things to each other, and that those things should not be so easily overlooked. 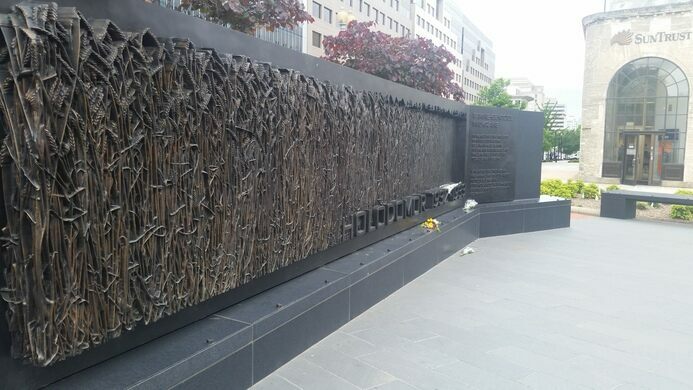 The memorial is not far from Union Station (Metro red line).